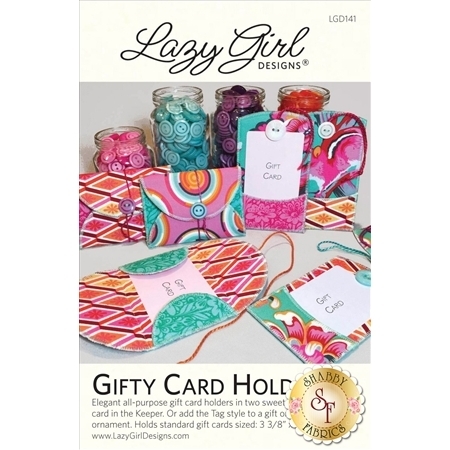 Gifty Card Holders by Lazy Girl Designs are elegant all-purpose gift card holders that come in two sweet styles. 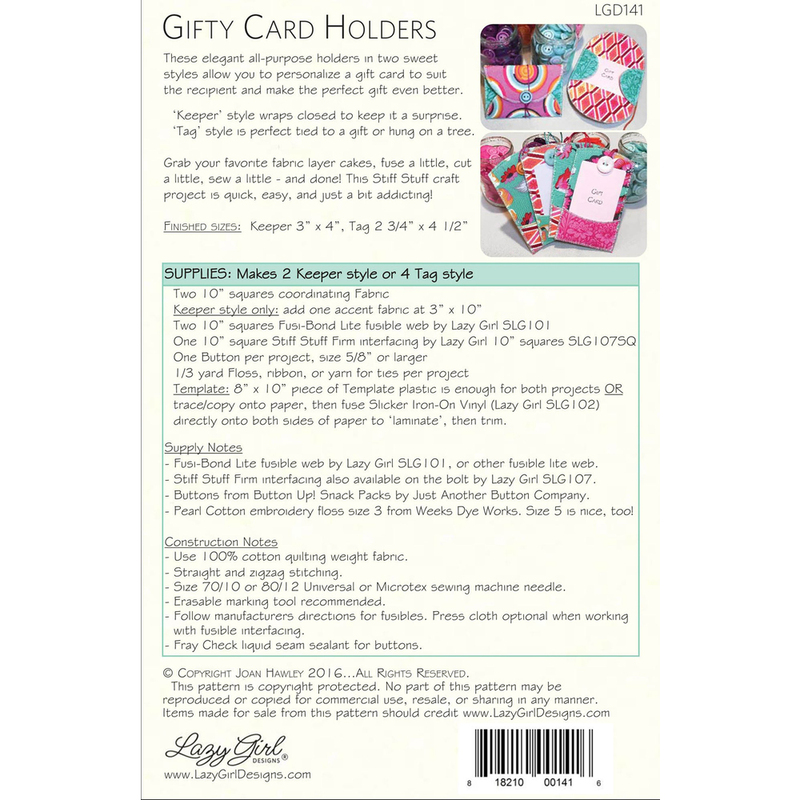 Wrap a card in the Keeper. Or add the Tag style to a gift or the tree as an ornament. Layer cake friendly. Finished sizes: Keeper 3" x 4", Tag 2 3/4" x 4 1/2".